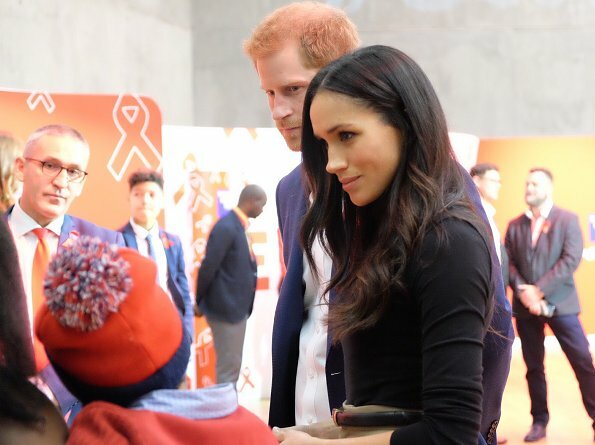 On December 1, 2017, Prince Harry and Meghan Markle have begun their first joint official public engagement. 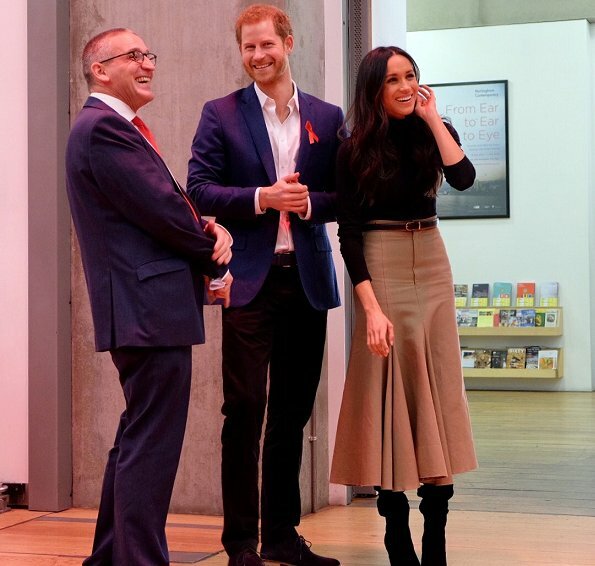 Prince Harry and his fiancee, Meghan Markle visited the Nottingham Contemporary Exhibition Centre. Prince Harry and Meghan Markle announced their engagement on Monday 27th November 2017 and will marry at St George's Chapel, Windsor in May 2018. Will she become a princess? She will technically be HRH Princess Henry of Wales so yes, she will be a princess. 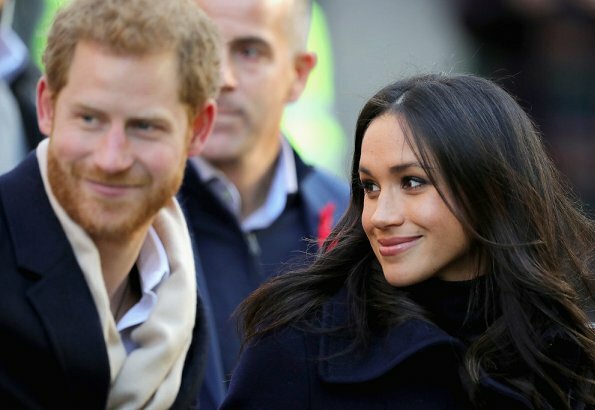 However, Harry will probably be given a royal dukedom by the Queen when they marry, so Meghan might be known as Her Royal Highness, the Duchess of Sussex. (No one knows for sure which Dukedom the Queen will bestow yet.) Catherine is the Duchess of Cambridge but was also identified on her children's birth certificates as a "Princess of the United Kingdom". Megan looks lovely today. A truly beautiful lady who will make a wonderful addition to the Royal Family. She looks lovely but I don't understand the boots in the one picture, they are either falling down or that is the way they are supposed to look. That's the style of these particular boots. They are very soft and flexible. I can already see we will have the same hair issues with Meghan, as with Kate. 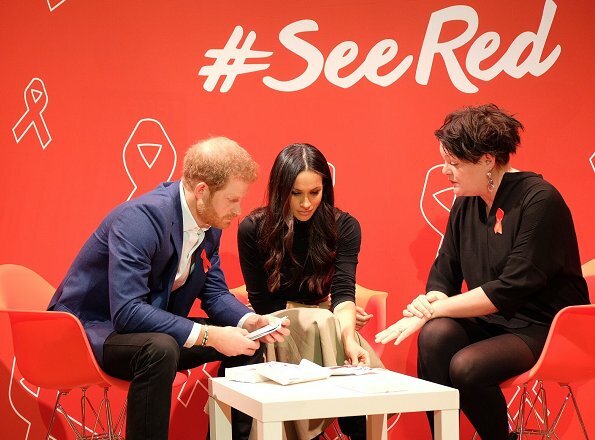 Meghan is actually wearing an aids ribbon too but you can't see it because her hair is covering it. It is not becoming, for her anymore than for Kate, to always shove the hair out of the face. She could have done better. I dont like this outfit at all. I can't wait for a show stopper appearance as well but I find this appropriate and a safe bet for her first engagement with the prince. Adoro como Meghan se veste :). Belo casal! I think we should give Meghan a chance. You may find her coat long and heavy but remember she just moved to the UK. That's a Canadian coat. In Canada we wear long heavy coats because we have very cold weather. I'm sure that soon the Prince of Wales will be paying for her wardrobe and then you will see lighter weight sleek coats. She is obviously still wearing her Canadian which she purchased. Very good point, Mimi. The long wool coat is a staple for many women in Northeastern cities in the US and Canada. New York, Boston, Montreal, Toronto--that wind comes off of the cold North Atlantic and Lake Ontario and you want to be covered way down your legs!! The prince of Wales (Charles) paying for her wardrobe? Don't you mean Harry? Agree. I will give her a chance :) She will have more opportunities. Sorry, but where do you see a long coat? Am I missing photos? (But yes, anyway, we do need long coats in eastern Canada!). And I think she looks great. It's a fairly classic look and is a good choice for her first day on the job. The Prince of Wales pays for much of Catherine's wardrobe so I would imagine he will also pay for hew new daughter-in-laws wardrobe too, especially because Prince Harry will not inherit the income from the Duchy of Cornwall. When the Duchess started her 'engagement tour' she wore her own clothes with less taste than Meghan does it now. Maybe the royal family don't wanna start with a shopping spree and it makes sense. I think the Duchess of Cambridge is going to have some serious competition. And Meghan can stand straight!!!! Mimi5, what a kind remark and an excellent explanation to what Meghan is wearing. 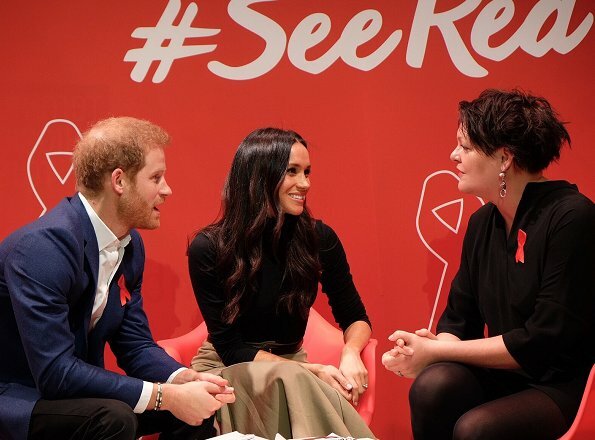 I do agree that we should give Meghan a chance, she is who she is, and because she does remind us of Kate, let's resist the temptation to put them on the pedestal and compare them. There will be days we rave about what they wear, there will be days we just cannot understand how they could wear what they wore. It is ok to say what you find of that outfit, but in a kind way, and what you would prefer to have. I personally enjoy reading what others have constructively put forward. It reminds me that one's own culture plays a big role on how we view things. 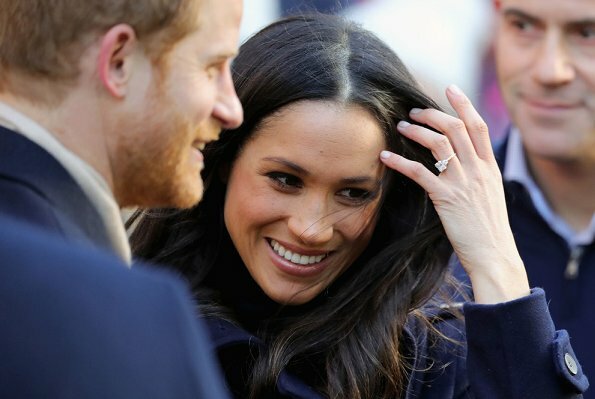 Meghan has done a spectacular first engagement. She's endearing and approachable, with a modern and tasteful sense of style. Can't wait to see more of her, and hope she does substantive charity work on behalf of the BRF. Gosh... I'm a straight woman and I'm in love with her :D she seems so natural and relaxed. She was lovely! She just hit the stage on Monday. Barely anytime to prepare a wardrobe. She looks great. She will get there...or maybe she will always be a bit more relaxed. I actually don't want a carbon copy of Catherine. Boring. Meaning I love Kates style but I also love that Meghan is modern and fresh. Kate has restraints. I cannot wait to see them in action. I just thing she needs an assistant to carry her purse and take all the flowers. One of Harrys aides helped in the end but she needs one. I think that this first engagement came too fast to prepare. It will come. Meanwhile watching all the video today made me happily weepy as they are so wonderful as a couple. Almost magical sparks. Wonderful to see Harry so happy. She is/was an actress so it’s easier for her. She is use to be approached by people compared to Kate. Her look seems more casual than DoC but it's her personal style and it's nice to see. I am not a fan of the loose hair which needs pushing off the face, it just seem unprofessional and like it's drawing attention to the mane of hair. They very much like a couple in love and that's the nicest thing to see. ( being previously married, older, American Catholic). I think she is winning her critics over. Her outfit was just right and I love the way she displayed her bag, which I understand was sold out within minutes. This will give a huge boost to a struggling Scottish company. I also loved her bag and the subtle coordination of its 3 colors with her coat, skirt and Harry's scarf. But, just a note that Meghan is not Catholic. It is common in the US for all religions to attend private Catholic schools because these schools offer a good education. Meghan is Protestant, but was not baptized. Her mother is Protestant. 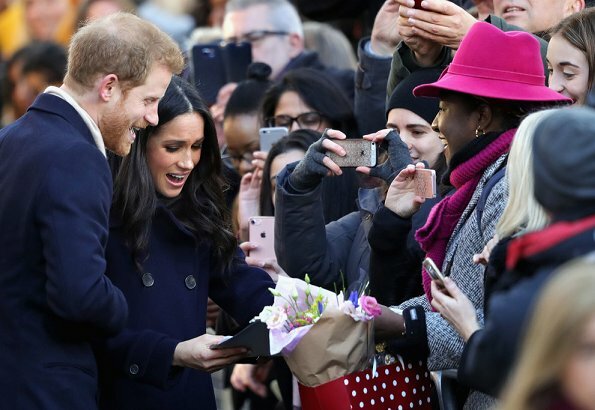 Her Father is Episcopalian--a religion closely linked to the Anglican Church in England and from his Mother, Meghan's Grandmother, who was of English descent. That is why it's a natural step for Meghan to be baptized into the Anglican Church in England and to be married there. Thank you Pine. That’s interesting. You're welcome, Christine 😊. Meghan's family is fascinating. Her mother was from the American South. Many African Americans in the South are Baptist or African Methodist Episcopal (AME). But there are many other faiths, as well. I have no idea what, if any, church her Mother may be a part of now in California. I find her super chic and modern, and hope that she continues with her own personal style. I agree. That might have been the best part. 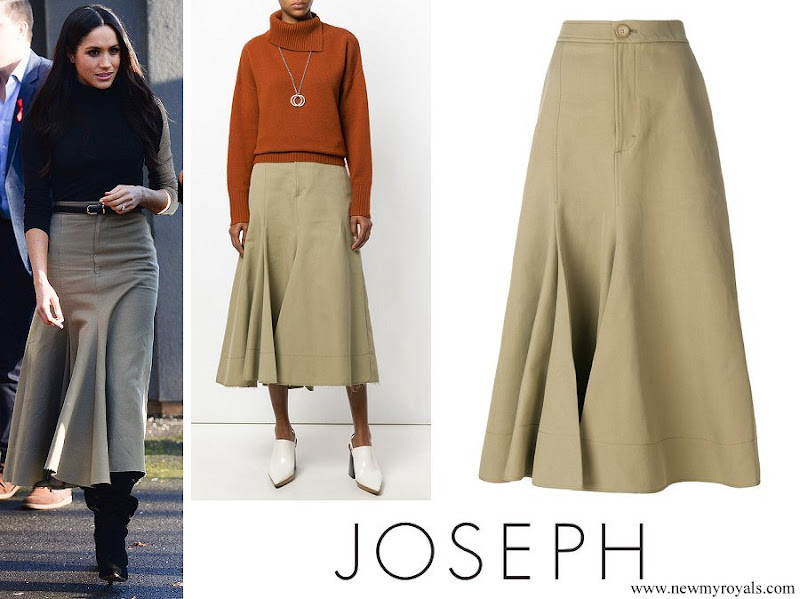 Love the skirt, and I think Meghan's outfit is very nice. She seems like a lovely person and I would imagine her winter wardrobe would be suited to the very chilly Canadian climate, nevertheless she looks lovely in my opinion, she is very pretty, lovely, unique, very much her own person. I wish both Prince Harry and Meghan every happiness.